Bookings can be cancelled up to 72 hours prior to the start of the tour with an 85% refund. Within 72 hours all reservations are final and cannot be refunded. In order to issue a refund on tours cancelled up to 72 hours in advance, the cancellation must be made via email. No shows are treated as last-minute cancellations and are non-refundable. If Taste Hungary has to cancel a tour for any reason, we will issue a full refund. Purchasing tickets in advance is required so we can coordinate with our vendors. We don’t accept guests on the tour who don’t have valid tickets, which must be booked in advance online! We don’t accept cash payments. Please contact us and we’ll see if we can add an additional tour on that day! We do not include gratuities. But if you enjoyed the tour and would like to show your appreciation to your guide, gratuities are accepted. We welcome children on many of our walking tours, as long as parents are sure that they can handle the tour and the walking without disturbing the other participants in the group. Please be aware that there is a lot of walking and standing during the three to four hour walking tours, and the market and other small venues can be crowded. Also, as many of our venues are on the small side, strollers are not appropriate for the tour. Please consider the attention span of your individual child when deciding if our tours are appropriate. I am part of a larger group. Can we start at a different time? Are there discounts available? We’d be happy to make special arrangements for your group! If you have special requirements please get in touch with us before you book the tour. We have group discounts listed on each tour page for groups of 8 to 14. For larger groups, contact us for custom offers. We love thinking outside the box! If you have any type of tour, event, or program in mind that you do not see listed on our web site, we would be happy to discuss how to make it happen. Our guides and sommeliers speak impeccable English, and all of our tours and tastings are held in English! Can the tour guide meet us at our hotel instead of the meeting place? Sure, if you book a private tour the entire tour can be customized, including the meeting point. It is possible that we could organize a private tour in another language since many of our guides are fluent in other languages. Contact us to discuss the options. The minimum number of participants we need in order to run a tour is two, and all of our small-group walking tours are capped at eight participants. Small-group wine tours are capped at six participants. I am a single traveler. Are there any tours I can join? Yes! You can book into any of our tours to join an already existing group. However, in the event that a tour does not have a minimum of two participants booked, we will have to cancel it (and issue you a refund). I’d like to give a tour as a gift! Great idea! We offer gift certificates bookable in any amount. Gift certificates are only valid for Taste Hungary experiences, and cannot be used to purchase wine or other products at The Tasting Table. What if I am running late for my tour? Tours will begin promptly, so please be sure to arrive at least 15 minutes early. If you will be late please call us at +36 30 690 4913 so we can notify your guide (if you notify us by email that you are running late, we may not get it in time to help you!). If you call our office we can relay the message to your guide (and perhaps you can proceed directly to the next stop on the tour). We cannot offer partial refunds or rescheduling for no shows, late arrivals, or participants who depart early from the tour. It is your responsibility to show up at the right location, on time. I’d like to book more than one tour, but am worried about overlap! We’ve designed the tours so that there will be minimal overlap in terms of the content, tastings, and locations. Feel free to contact us with any specific questions about this if you are considering booking more than one tour. There are several different starting points, and ending points vary. Be sure to pay attention to the details in your confirmation email! Many of the tours either start or end at our wine tasting cellar, The Tasting Table. Yes, there will be a few bathrooms available during the tour routes. However, we strongly recommend that you use the facilities beforehand so we can stay on schedule! Yes, and we encourage you to do so! We’d also love to see your photos and social media posts about your travel adventures (and particularly about your experiences on our tours). It would make our day for you to use the hashtags #TasteHungary, #TastingTableBudapest, or #FoodWineBudapest when posting on social media. Due to the small entranceways, narrow streets, and lack of elevators, none of the tours are wheelchair accessible. Our tours run rain or shine, so please check the weather forecast and come appropriately prepared for the weather. You’ll be outdoors and on your feet for most of this tour, so we highly recommend wearing comfortable shoes! In the case of inclement weather, some variations may be made to the planned route. I have difficulties walking …. How much walking is actually involved in the tours? Since we aim to squeeze in as much as possible during the time we have with you, our walks do cover lots of ground. The walks are 3-4 hours long, and though there are several breaks for tastings, much of this time will be spent on your feet. The walking time varies, but ranges from 1.6 km to 2.5 km on the food walks, to 5.3 km on the Budapest Grand Walk (there’s a reason it’s called Grand)! If you have doubts about being able to comfortably keep up, you might consider instead booking one of our seated tastings such as the Wine, Cheese, & Charcuterie Tasting (3pm) or the Essentials of Hungarian Wine Tasting (6pm). We do our best to stick to the planned itinerary. But itineraries may be subject to change for reasons beyond our control, including: weather or third-party vendor cancellations. In this case, we will make every effort to select alternate venues of the same caliber. Should I eat before attending the tour? That depends on which tour you have signed up for! If you’ve booked a wine tour, we highly recommend having a good breakfast before your pick-up since the day will start with a car ride to wine country and then a wine tasting before lunchtime. Though the Culinary Walk, Buda Food Walk, and Jewish Cuisine & Culture Walk include enough food tastings to suffice for lunch, we do recommend eating a light breakfast before joining the tour. However, you most likely will not need to eat again until dinnertime! Do come hungry for the Dinner Walk, as you will have plenty to eat. The Budapest Grand Walk and the Buda Castle Walk are sightseeing tours (not food tours) during which you’ll be covering lots of ground. Be sure to eat before hand so you are well-fortified! The Ruin Bar Walk and Craft Beer Walk include more drinks and less food (just light “bar snacks”). So, it’s recommended to eat beforehand. The Danube Boat Ride & Wine Tasting only includes pogacsa (savoury scones). During the Baking Class and Sweet & Coffeehouse Walk you will sample a bunch of sweets! The Wine, Cheese, & Charcuterie Tasting and the Essentials of Hungarian Wine Tasting include good portions of cold food (cheese, charcuterie, and dips), but you may want to make dinner plans to follow the tasting. Are alcoholic beverages included in tour prices? Introducing Hungary’s wine, spirits, and craft beer is a big part of our mission! So, yes, drinks are included in most of the tours (some, more than others). The only tours which do not include any alcoholic beverages are the Buda Castle Walk and the Baking Class. The Culinary Walk includes a shot of a local spirit and a tasting of three wines. The Dinner Walk includes 5 drinks (one at each of the tasting stops). The Jewish Cuisine & Culture Walk includes a shot of kosher pálinka and two glasses of wine (including Tokaji aszú). The Sweet & Coffeehouse Walk includes a glass of Tokaji aszú. The Buda Food Walk includes a glass of wine with lunch and a shot of a local spirit. Naturally, tours like the Ruin Bar Walk and the Craft Beer Walk are all about drink tastings. Wine tours include three winery visits with very generous tastings. If we know in advance, we can offer non-alcoholic substitutions for the alcoholic drinks. If you have any type of allergy or restriction which must be accommodated we must know in advance of the tour so we can make arrangements with our vendors! On-the-spot substitutions will not be possible. We can accommodate many types of food allergies, so just let us know during the booking process. What if I am kosher? We can provide kosher options on the Jewish Cuisine & Culture Walk. If you require a kosher diet lease let us know in advance so we can plan the route accordingly. Can you recommend some good restaurants in Budapest? Absolutely! 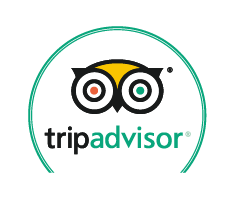 After you book a tour, you’ll get a confirmation email in which you will receive a link to a comprehensive list of our favorite eating and drinking spots in Budapest. Where can I buy good wine in Budapest? You are asking the right people! We welcome you to spend some time at our wine shop and tasting room—The Tasting Table Budapest! Here we offer wine flights and tastings, craft beer, handcrafted Hungarian food products, and more than a dozen wines by the glass! We’ll give you a 10% discount on all products purchased (just show your tour confirmation email)! Can you ship the wine to me? If you live in the EU we can ship the wine to you through DPD for a reasonable shipping fee. For US customers, we are currently working on a solution to bring these wines to you! I'd like to come taste wine at The Tasting Table. Can I just walk-in anytime, or do I need a reservation? To best experience the Tasting Table we highly recommend booking a wine tasting in advance. Our Wine, Cheese, & Charcuterie Tasting takes place daily at 3pm and the Essentials of Hungarian Wine Tasting is daily at 6pm. We have limited space available at our communal tables for other table bookings. So advance booking is recommended if you’d like to drop by and order from our menu. We have a great selection of local cheese, charcuterie, dips, and bread to enjoy with your wine. Our chef prepares full meals at our Thursdays @The Tasting Table bi-weekly dinner series, and is always available to cook for private events. Can I just stop buy to pick up a few bottles of wine? Of course! Our shop is open daily from noon to 8pm. I am planning an event for a group. Can you help us? The Tasting Table is a great venue for private events from 2 to 32 participants! Our cozy back cellar holds 8, and our main cellar holds 32. Please contact us to discuss possibilities.